The angled overhead structure was designed to get the light fixture up and out of the workspace area. This style structure comes standard with a light support that will accept our standard fixture. 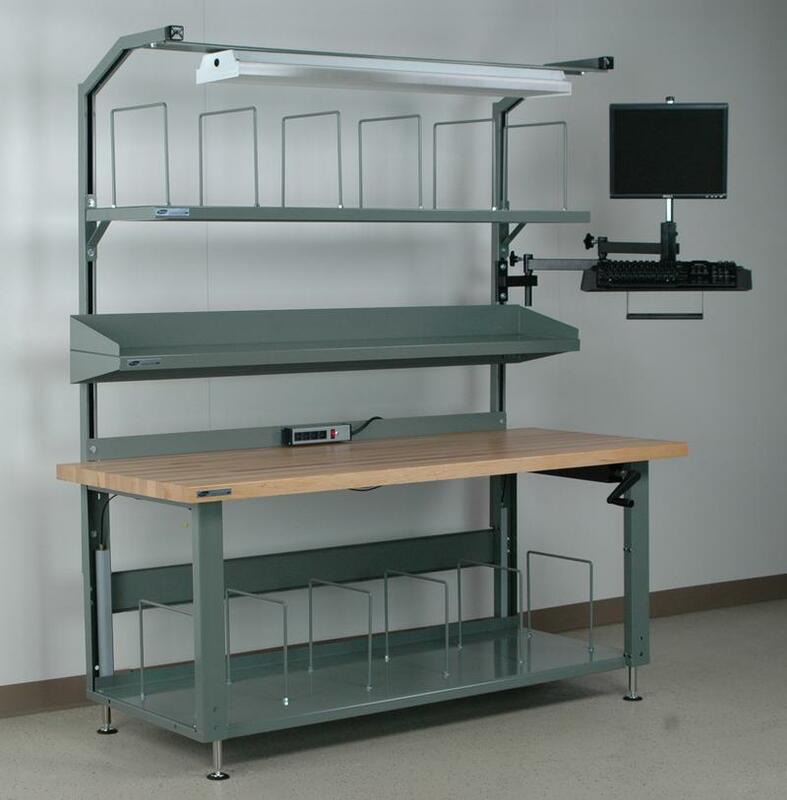 We offer extentions for this structure particularly when a tool track and trolly is needed on the workstation. The standard overhang is 22" and with a tool track it will be 27".